Nonprofits that measure and make strategic decisions based on volunteer impact have a greater potential to adjust and optimize their program for success. Did you know that one out of four American’s donate their time to organizations with missions they believe in? In fact, according to a United States Census Bureau study, 62.6 million people volunteered in 2015 alone. That is a lot of people providing their time for the greater good! It is also a lot of data for nonprofit organizations to manage and make sense of. Nonprofits that are able to strategically measure volunteer impact can better understand the true value of their supporters and identify new opportunities for program growth. Believe it or not, only 55% of nonprofits today actively measure volunteer impact as a key performance indicator. So, what metrics should a nonprofit organization be measuring? How does an organization determine volunteer program ROI? 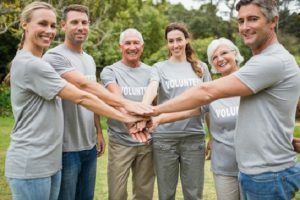 Volunteer satisfaction and engagement: organizations can measure program satisfaction by creating and analyzing a volunteer satisfaction survey. Each volunteer fulfilling an opportunity should be sent a survey as a follow-up. It is key that organizations make surveying a part of their process to capture the best data from supporters. New vs Repeat Volunteers: organizations need to know who their volunteers are and where they came from. Measuring new vs repeat volunteers can help a nonprofit to determine what source is driving volunteers, what the program retention rate is, and how often their supporters provide their time. Nonprofits can measure this metric with ease by using volunteer management software. Volunteer attendance: Analyzing volunteer attendance is often a metric that is overlooked as a KPI. Nonprofits who identify trends in their volunteer attendance rate may be able to pinpoint and address the problem areas causing no-shows. Volunteer attendance is another metric that volunteer software can provide quickly. Volunteer Footprint: Another important metric to understand is how many organizational roles are fulfilled by volunteers. Many nonprofits use volunteers in almost all departments. There are also nonprofits that are fully staffed by volunteers. Identifying volunteer footprint can help a nonprofit to estimate the total dollar value of time donated. Opportunity Costs: It is key that nonprofits measure the cost of a volunteer hour. Organizations should consider training costs, reward costs, development costs, and any other cost that goes into their program. Social Media Shares: Social media is a great way for nonprofits to share volunteer opportunities with the community. Measuring social shares can help an organization identify how people are responding to their program online. Donations made by volunteers vs non-volunteers: Many organizations report that their volunteers are also some of their biggest financial donors. Research shows that two-thirds of volunteers donate money to the same organization. Measuring this key relationship can help organizations add additional value to their volunteer program and enhance their understanding of key supporters. VolunteerHub, is helping nonprofits every day to measure the success of their volunteer program. 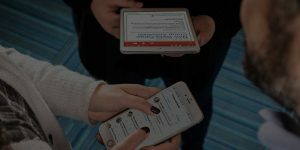 Our volunteer management solution provides a plethora of features including volunteer time tracking, true CRM integration, event scheduling, communication capabilities, recruitment features, custom reporting and much more. 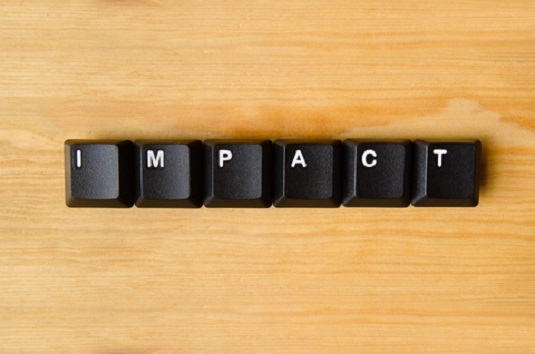 Measuring volunteer impact is a must for all nonprofit organizations wanting to maintain and optimize their efforts over time. Measuring variables such as volunteer satisfaction, volunteer attendance, new vs returning volunteers, opportunity costs, and the relationship between volunteers and financial donors is a great place for organizations to start. There are many tools available to make measuring volunteer impact easier and more streamlined for organizations. Volunteer management software can provide the quick volunteer program insights a nonprofit needs.